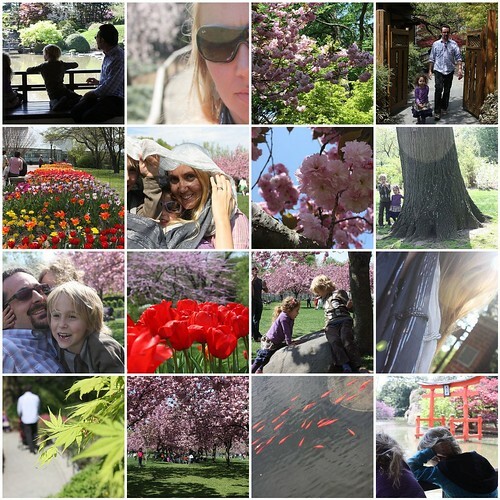 The Brooklyn Botanic Garden, originally uploaded by leavesandfeathers. We spent this afternoon exploring one of our favorite places in NYC, the Brooklyn Botanic Garden. Nine years ago Frank and I had our first date to the annual Cherry Blossom festival there, and every year we go back when the Cherry Blossoms are blooming to remind us of the beginning of our relationship. We also were married there, which was amazing...and something that I'd like to post on eventually! Today we reveled in the glorious splendor of everything in bloom, these really are some of my favorite weeks of the year. I'll be back tomorrow with a peek into what I've been working on in the studio lately.